They mean download and installed on your computer so you can manage your music on your USB stick not install it into the cars infotainment system. When I insert USB flash drive into USB slot (2013 ES300h), I always get "No music files detected." I have only been able to play Apple files through an iPod. Is the Lexus system supposed to access files on a USB drive directly? How? If your files are Protected AAC files you cannot play them. DRM locked it down. 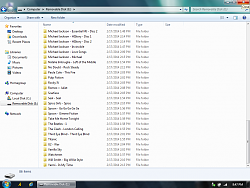 If your files are typical MP3 or AAC files you should be able to play them in the car. UPDATE: I've been using WMA's all along, not WAV's; sorry for the mistake. Nevertheless, still having difficulty with the below and wondering if anyone has experienced same / come up with a solution yet. I also understand the Sandisk Cruzer Fit I've been using came from Sandisk formatted as a "Local" / "Fixed" drive, not as a "Removable" one, due to some type of Microsoft Windows 8 compatibility standard, which cannot be changed and which many people have complained about. So, they've now gone back to producing flash drives as "Removable" ones, but they're not willing to replace "Local" / "Fixed" drives. Does this have any bearing on my problem below!? Can't figure out how to play music from a USB flash drive!? Has bothered me since I took delivery and any help would be appreciated! When I plug in the flash drive and go to USB as a source, the system scrolls through each of the folders and files on the drive (Folder 1 - File 1, Folder 1 - File 2, Folder 1 - File 3… Folder 2, File 1… etc.). It takes a long time to get through everything and when done it says something to the effect of “No Music Files”. All I have on the drive are regular WMA files, which are a supported format according to the manual, and what’s strange is that when I click “Browse”, I see the correct folder and file names, but cannot play same. I’ve used different flash drives, formatted each multiple times, organized folders differently, all to no avail. I’m really impressed with the quality of the standard sound system, but can’t believe our cars don’t have an on-board hard drive for a music collection!? FYI, I’m able to play music form the drive on two of my other vehicles without problem. Last edited by dbs600; 03-03-14 at 08:18 PM. I have a 2013 ES300h. Here's my "$.02 worth" on this subject. The only music files I have ever been able to play through USB input are in Apple format through an iPod. When I use that approach, the car system recognizes the USB input, changes the heading onscreen to "iPod" and lets me scroll through files by performer, by genre, or by album, select content, and play. Bonus- album art is displayed onscreen, and being able to glance over at Anna Netrebko's image is definitely a positive. And the music sounds good- as good as a CD. The problem is, CD sound isn't all that good. I had to convert high resolution files (most from HD Tracks- highly recommended) that were in FLAC format to AIFF format, dumbed down to 44.1/16 hz, from their original, much higher resolution. (I do that with Switch Sound File Converter. Go to bottom of menu page, set Output Format to AIFF, Encoder Options to 44100/16. I bought a FIIO portable player, and it is great. Sound is much better than an iPod, and it plays high resolution files in any format. But it only plays through the AUX input, using a 3.5 mm phone mini jack. You get nothing onscreen except "AUX" logo. In USB mode, screen just says "no music files detected," even though I tried loading music files only, not even in folders. Only way to select music is through the little screen on the FIIO unit, which is not safe while driving, and not easy when stopped at a traffic light. So I sent it back, regretfully, because the sound was better than the iPod through the USB port. But the mechanics of selecting material was so superior through the iPod, I stayed with it, even though I sacrificed sound quality. Bottom line: Lexus stock system is good, but not as good as it could/should be, re playing digital material. PS- I frequently play WAV and FLAC files through my computer, using JRiver mainly, although I have Media Monkey, too. I installed an ESI [email protected] sound card, and it feeds my Audio Research preamp through one of the line level inputs. That's comparable to what I want in my car! Does anyone have experience with the Mark Levinson system re playing digital files? I have a 2013 ES300h. Here's my "$.02 worth" on this subject. The only music files I have ever been able to play through USB input are in Apple format through an iPod. Thanks for your reply, but are you saying you've tried playing music from a USB flash drive in the past, but couldn't get it to work? Correct. I have never been able to play files from a USB flashdrive in my Lexus stereo. Only from an iPod. I have never been able to play files from a USB flashdrive in my Lexus stereo. Has anyone here been able to play music files from their USB flash drives!? Took effort, but SanDisk agreed to replace my "Local" drive with a "Removable" one. not sure what hte issue is. I got a 16gb and just put my MP3 files in a couple folders and it plays fine. True; thanks for confirmation it works for you. Having the problems described in post #52 above. 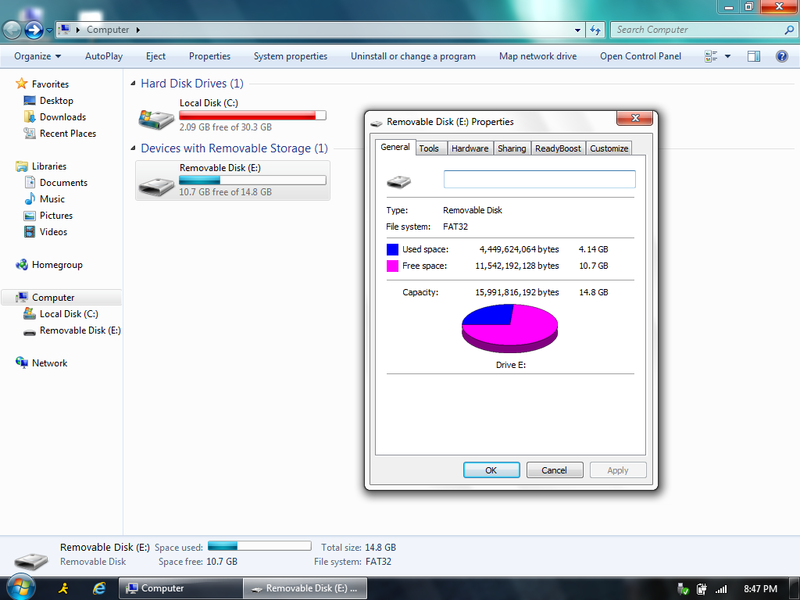 Do you know if your drive is "Local" or "Removable"? Hope my replacement USB flash drive works! not sure if this helps but the music I have is non DRM i got from amazon, google play, etc. Never had any of the music back then when itunes and other places put DRM on it. I even have the sandisk cruzer fit 16gb. All I did was make two folders, threw some music in there, and it worked. I didnt have to format or mess with any settings. I was on a Windows 7 computer doing this. What did you mean by "Local" or "Removable"? I just plugged in my USB drive and it plays fine. Maybe you mean FAT32 or NTFS format? Your USB drive definitely needs to be in FAT32 format. But most USB drive comes as FAT32 by default from factory anyway. What did you mean by "Local" or "Removable"? I just plugged in my USB drive and it plays fine. Maybe you mean FAT32 or NTFS format? Your USB drive definitely needs to be in FAT32 format. But most USB drive comes as FAT32 by default from factory anyway. It's what the drive says under "My Computer", in front of where the drive letter is shown. Please let me know what yours says! I've since had SanDisk replace my drive with a "Removable" one, but I'm still having the problem referenced herein. Not sure why the videos are whited-out when playing them from the embedded links, but click full-screen to view the video, need be. Last edited by dbs600; 03-23-14 at 11:04 PM.